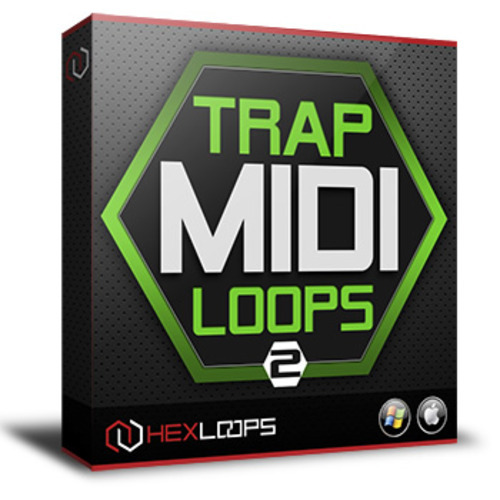 Download Trap MIDI Loops Vol 2 - MIDI files and patterns for Hip Hop Producers. Its ready! Trap MIDI Loops Vol 2 is here and comes with a new collection of over 280 midi files special designed and selected for all modern trap and hip-hop producers who can take advantage of using midi files in their productions. Using this midi files allowing you to seamlessly mix your favorite synths and samplers and create your own original sounds and tracks. You can easy modify notes, tempos and render new sounds using your favorite VST or soundfonts samplers. You know that the Trap style is characterized by those deep 808 basses, specific snare rolls, and awesome fast hihats. All this are inside of this pack and you can see exactly how they were created and you can modify to get your own original loop that can sound better than what weve done.